On Friday February 5th, WagonWheel Presents… plays host to a mighty triple bill of bands at The Greystones as we kick off our WagonWheel Weekend. Helping us get our mini-festival under way will be The Payroll Union, The Fargo Railroad Co. and The Sopranistas. Advance tickets priced at £6 for Friday night’s show are available from http://www.wegottickets.com/f/9440 and the venue (12-6pm) or entry on the night will be £8. Weekend tickets are also available from http://www.wegottickets.com/wagonwheelpresents and include entry to all five shows across Friday, Saturday and Sunday. Doors open 8pm for an 8.15pm start. The Payroll Union are a Sheffield based Americana band with an obsession for American history. Inspired by country, rock ‘n’ roll and southern gothic, they formed in 2009 and have shared stages with artists such as Bellowhead and Johnny Dowd. After bringing out two EPs, they released their debut album, The Mule & The Elephant, in February 2013. With songs about conspiratorial Masons, persecuted Mormons and dueling politicians, the album’s narrative charts the rise of American democracy in the early 19th century. After working with the history department at the University of Sheffield on a collaborative music and history project (Faith & Fear In Philadelphia), the band released their follow up Paris Of America in 2015. The Fargo Railroad Co. have gone from strength to strength since forming in 2013 and have steadily built a reputation as one of Sheffield’s hottest live acts. Drawing on a vast range of musical influences, from old school thrash metal to easy listening, jazz to blues, rock & funk to folk, country and bluegrass, they found common ground in the broad and deep ocean of Southern Rock. They released their debut album, live recording Sharing The Load, in early 2015 and had a busy summer of festival appearances. 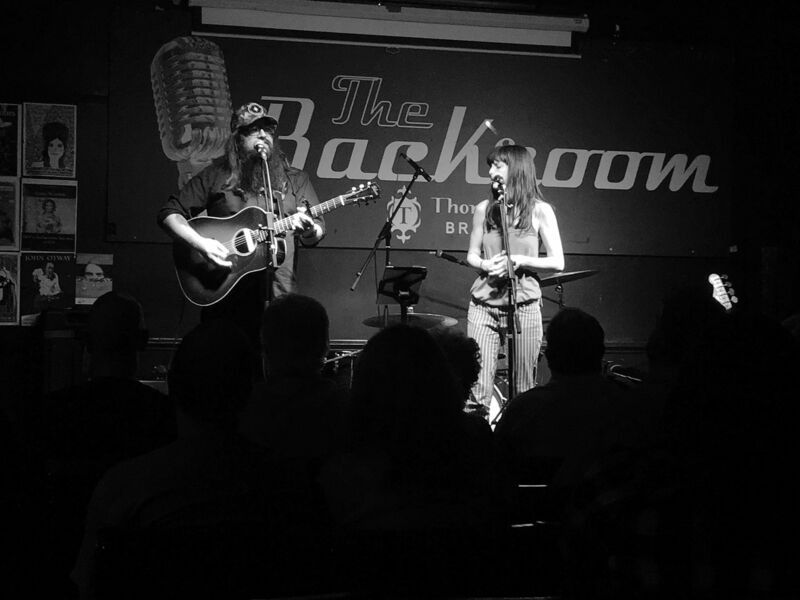 They rounded off 2015 with a sold out second birthday show and a new live acoustic EP. All aboard for a journey into the sound of a Texas dive bar. The Sopranistas are a South London based Alt-Country band led by singer-songwriter Gregory S. Rees, lead guitarist Paul A. Gilbert and backing singer and percussionist, Anne Catherine Rees. Nick Briggs is a regular member on saxophone, along with Anders Dal on drums and Rupert Browne on bass. Their debut album, “Cutting Down The Bird Hotel”, was released in 2015. Prior to forming The Sopranistas, Greg was a regular solo performer on the London circuit under the name Greg Harrisburg.